As of November 30, the Eagle Creek Fire is 100% contained, but the work has only just begun. Read on to find out how to help restore this beloved landscape and support our Gorge towns. 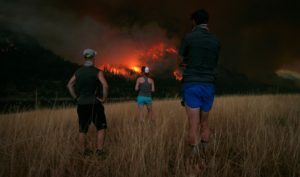 Before the Eagle Creek Fire was contained, it burned 48,861 acres on the Oregon side of the Columbia River Gorge National Scenic Area. The vast majority of trails on the Oregon side of the Gorge remain closed due to fire damage and subsequent landslides. The destruction of this beloved landscape was, and is, heart-wrenching. 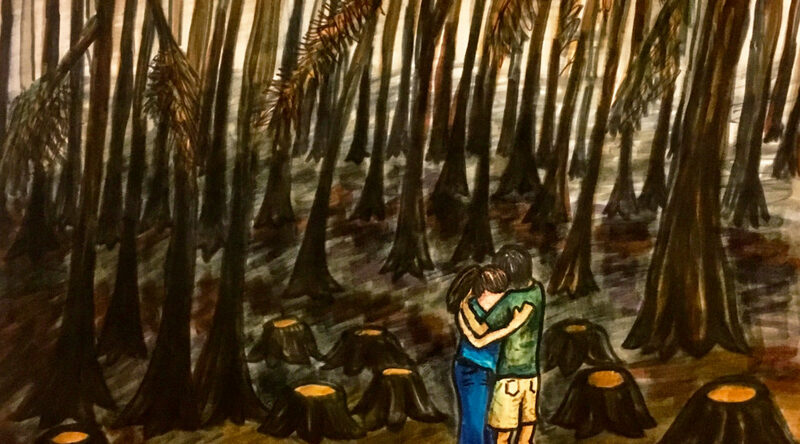 I was unable to tear my eyes from the news for weeks after the Eagle Creek Fire exploded. Then I was numb and frozen for months. I feel like only recently I’ve pulled out of this fog of grief and despair. Indeed, it is easy to feel devastated by what has happened. But as much as we can, we need to keep moving. We need to pitch in by supporting the restoration efforts and the communities who were impacted by the fire, and we need to show our gratitude to those who helped as the Gorge burned. My best recommendations are listed below. I will keep updating this post. Thank you for doing your part to help. This will be a long process, but eventually we will restore and rebuild the Gorge’s beautiful forests and trails. I’ll also give an honorable mention to the Trails Club of Oregon. They have pledged to work to restore the Gorge, too, and they have quite a project ahead of them: Nesika Lodge, which is owned and operated by the Trails Club, was damaged by the fire. Miraculously, it is still standing, but it will need a lot of work in the coming year. Consider a donation, or sign up to volunteer on their website. You can also contribute directly to repairing Nesika Lodge here. This is a fun task: Help these towns recover economically by patronizing their awesome businesses! 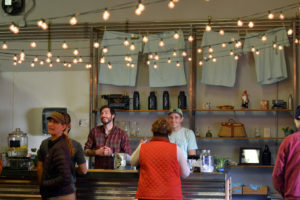 I love Thunder Island Brewing in Cascade Locks. They have a great location, great food, great drinks, and they support the iconic PCT Days celebration each summer. On top of it, they opened their doors to fire crews fighting the Eagle Creek Fire, providing them free meals. They deserve our business! Check out the Columbia River Gorge Visitors’ Association website for more awesome businesses to support. Go to PCT Days next year! Located in Cascade Locks, this event is a way to provide both moral and financial support to the small town at the epicenter of the Eagle Creek Fire. This event celebrates the Pacific Crest Trail (which also has been impacted by the fire) and is an opportunity to hang out with PCT thru-hikers and connect with the local outdoor community. Donate to Hood River County Search and Rescue’s Mike Anderson Search and Rescue Fund, named for a recently deceased deputy. This will directly fund SAR efforts. You can donate at any US Bank branch, or deliver or mail donations to: 601 State Street, Hood River, OR 97031. Hood River SAR evacuated the 150-plus hikers who were trapped on the Eagle Creek Trail when the fire began, and they have also been part of myriad rescues in the Gorge and on Mt. Hood throughout the years. Mountain Wave Search and Rescue also helped during the fire. You can donate to them here. It is an understatement to say that these brave folks who put it all on the line for our beloved Gorge are heroes. Show your gratitude by donating to them. The ones in red are, in my opinion, the most worthy of donations. They are fire crews that were battling for their backyards, and/or did something exceptionally heroic. But again, everyone who helped is a hero. They all deserve our support. Cascade Locks Fire and EMS. At the bottom of their homepage, there is a “donate” button. Cascade Locks was at the epicenter of this fire, and it is not in a very populous or affluent county. They need and deserve our support. Corbett: Fire District 14: This fire crew was battling for their backyard. Forest Grove Fire and Rescue: They contributed fire fighters to battle this blaze. Hillsboro Fire Department: They contributed fire fighters to battle this blaze. Gresham Fire and Emergency Services: They were part of the crew that saved the historic Multnomah Falls Lodge from the blaze (and did so through the night, from Sunday, September 4, to Monday, September 5, when the structure was first threatened). Northwest Interagency Coordination Center: They play an integral role in planning fire responses and also make information on fires and air quality available to the public on their awesome website. Oregon Department of Forestry: Their Fire Protection program was an integral part of the fire fighting effort. Since it’s a state agency, we probably can’t donate to them directly, but please, in the future, vote to support funding for them! Oregon Air National Guard: They assisted in many ways with the fire. Oregon National Guard: They assisted in many ways with the fire. Portland Fire and Rescue: They contributed fire fighters to battle this blaze. 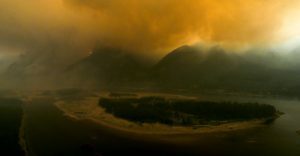 Skamania County had to contend with the Archer Mountain fire (sparked by the Eagle Creek fire) and supported the Stevenson Red Cross evacuation efforts. Like their neighbors across the river, Skamania County is not very populous or affluent. The county was asking for monetary donations to support their fire and other emergency services, and I’m sure contributions would still be welcome. Contact Sarah Slack at 509-427-3980 to contribute. US Forest Service: They assisted in a variety of ways, and are one of several agencies that coordinate the Interagency Hotshots. Some Hotshots helped with the Eagle Creek Fire. Since it’s a federal agency, we can’t donate to them directly, but please, in the future, vote to support funding for them! Unfortunately, I don’t know all the agencies and fire crews that were involved, and I don’t have links to donation pages for all of them (some of the links are just to their websites). Please reach out with any information about donating to these groups who put it all on the line for our beloved Gorge. It is an understatement to say they deserve our support! Additionally, the Multnomah County Sheriff’s Office recommended donating to the Wildland Firefighter Foundation. Their mission, as stated on their website, is “to help families of firefighters killed in the line of duty and to assist injured firefighters and their families.” Donating to this cause has less of a direct link to the Eagle Creek Fire, because there were no (human) fatalities, but honoring fallen heroes is important. The Red Cross operated shelters for evacuees in Stevenson, WA and at Mount Hood Community College in Gresham, Oregon. Donate to the Red Cross, specifying either the Cascades division or the Disaster Relief Fund. The latter also assisted with all the hurricanes of fall 2017. 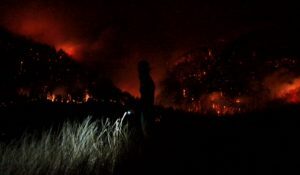 As previously stated, Skamania County had to fight the Archer Mountain fire (sparked by the Eagle Creek fire) and supported the Stevenson Red Cross evacuation efforts. The county was asking for monetary donations and I’m sure they’d still appreciate any money you can spare. Contact Sarah Slack at 509-427-3980 to contribute. According to this post by KGW News, Gone Towing helped to evacuate residents in Level 2 and Level 3 areas, free of charge. They deserve your future business! NOTE: If you don’t believe the facts, kindly shut up and find a way to help with the Eagle Creek Fire that DOES gel with you. Don’t waste time arguing about reality when so much else needs to be done. Fall 2017 brought Hurricanes Harvey and Irma and catastrophic fires throughout much of the American West, making it clear that we are starting to reap what we have sown. 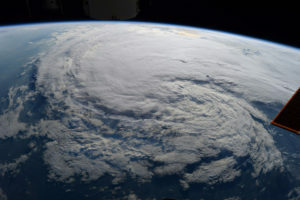 It is imperative that we intensify our efforts to combat climate change. First, I’ll list some nonprofits you can donate to. Second, I’ll list some suggestions for reducing your own carbon footprint. Natural Resources Defense Council (NRDC) is a fantastic organization that is taking a multifaceted approach to combating climate change. I’m linking to their Get Involved page so you can access a whole host of ways to contribute. Click on the large Donate button in the upper right corner if that’s how you wish to help. The Union of Concerned Scientists is also a reputable and awesome group. I recommend checking out their Global Warming Solutions page to learn about various ways to combat climate change. You can also just click on the Donate button in the upper right corner if that’s the route you’d prefer to take. Most of these suggestions are Oregon-specific, or Portland Metro-specific. I’m just speaking to what the majority of my audience will find relevant. For a whole host of ideas on how to combat climate change no matter where you live, I advise checking out NRDC’s Get Involved page and the Union of Concerned Scientists’ Climate Change Solutions page, as previously mentioned. Sign up for renewable energy through PGE. It’s easy and it’s helpful. Do it. Drive less, use transit more: You can even get to outdoor adventure destinations using transit! Check out the Point for getting from Portland to popular destinations on the Oregon north coast, or to travel throughout the state. 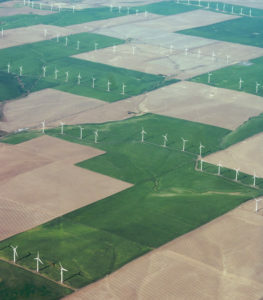 Check out the Central Oregon Breeze to travel between central Oregon and Portland. Check out the Mt. Hood Express to get from Portland to our lovely local volcano. 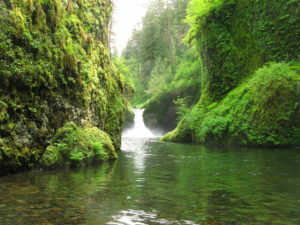 Once the Gorge is safe to explore again (sigh), check out the Columbia Gorge Express for the Oregon side, and the Gorge WET Bus for the Washington side. Greyhound and Amtrak serve a fair amount of Oregon destinations, too. That’s how I reached the California-Oregon border for my trek on the Oregon Coast Trail. And, of course, you can use the handy Trimet Trip Planner for strategizing transit in the Portland metro area. Portland Bureau of Transportation (PBOT) has a handy carpooling page. In the Willamette Valley, look into Cascades West Rideshare. In the Salem-Keizer area, look into the Cherriots Rideshare. For anywhere in Oregon, check out RideBuzz. I want to remind you that this list is a work in progress. I welcome your input. Please post your (well-researched) ideas in the comments below!